To view a detailed list of our dermatology locations, please click the location to be redirected. Huachen Wei, M.D., Ph.D., MPH, FAAD is a board certified dermatologist and a full professor of Dermatology at the Mount Sinai Medical Center. He is the Founder of WW Groups and DR WW Dermatology PLLC. Dr. Wei received his medical degree in Shandong Medical College in 1982, and his Master in Public Health in Beijing Medical University, PRC in 1985. He came to the United States in 1987 and obtained his Ph.D. in Biochemistry and Environmental Oncology at the NYU Medical Center in 1992. Briefly serving as a tenure-track assistant professor at University of Alabama at Birmingham, he was recruited as an associated professor and the research director of dermatology by the Mount Sinai School of Medicine in 1995. Dr. Wei has published over 200 publications in peer-reviewed journals in the field of dermatology and Esthetic Medicine. In the past 20 years, he has been awarded over 30 research grants including five (5) NIH R01 grants as the Principal Investigator. He was the recipient of the 1996 and 1998 Dermatology Foundation Research Awards, 1998’s Outstanding Young Dermatologist by American Academy of Dermatology, and 1999’s Nelson Paul Anderson Memorial Award. Due to his outstanding performance, Dr. Wei was promoted to a tenured full professor of dermatology by the Mount Sinai Board of Trustee in 2002. He has been consecutively listed as one of the country’s “Top Physicians in Dermatology” since 2004 by American Consumer Committee and received the “Patient Choice Award” since 2008 by American Registry. He was the only overseas endowed professor of dermatology with title of “Yang Tze River Scholar Professorship” by the Education Ministry, PRC. His contributions to society and dermatology have been extensively covered in a variety of journals, magazines, and TV programs. Dr. Wei was featured in the cover stories by the Journals of China Fortune and Duowei Times. 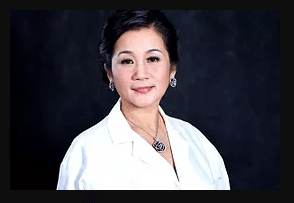 Ms. Wu is a NCCPA board certified physician assistant specializing in medical dermatology for adults and children, skin cancer prevention and treatment, and cosmetic dermatology. She is a fellow member of the American Academy of Physician Assistants, and Dermatology Society of Physician Assistants. 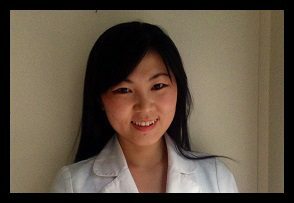 Ms. Wu completed her undergraduate degree in Medical Laboratory Sciences at Hunter College and her Physician Assistants program at Sophie Davis School of Biomedical Education, NYC. She is fluent in Chinese and Korean. 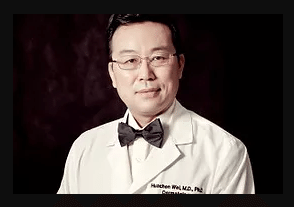 Yan Wang, M.D., MS, is a board-certified physician and Co-Founder of WW Groups and DR WW dermatology PLLC. Dr. Wang received her medical degree in Shandong Medical College, PRC in 1982 and her Masters Degree in Human Genetics in Beijing Medical University, PRC in 1986. She came to the United States in 1988 and worked as a Research Associate at the NYU Medical Center and Research Assistant Professor of Cell Biology and Neuroscience at University of Alabama at Birmingham from 1990 to 1995. She was appointed as a Research Assistant Professor at the department of dermatology of the Mount Sinai School of Medicine from 1995 to 1998. Dr. Wang completed her residency training in Internal Medicine at the Mount Sinai Bronx VA Program in 2000. Her research focuses on: “Tau protein in pathogeneses of Alzheimer’s disease; Effect of oxygen free radicals and UV light on DNA damage skin cancer and skin aging”. Dr. Wang has published over 30 publications in the field of dermatology, cell biology and neurosciences. Her first-authored research on Tau Protein was featured in the cover story of Journal of Cell Biology in 1994. Dr. Wang is the member of American Society of Laser in Medicine & Surgery, and the National Society of Cosmetic Physicians. She is the Medical Director and owner of DR WW Medical Spas. Stephanie Wang-Li, NP-C, is a board certified adult and gerontology nurse practitioner. Mrs. Wang-Li earned her Bachelor of Nursing degree in 2009 from the New York University, New York. She performed post graduate nursing in the cardiac telemetry care unit at North Shore University. Mrs. Wang-Li was a cardiac telemetry care nurse for six years. In 2014, she obtained her Master of Nursing degree and certification as a Nurse Practitioner from Hunter College, New York. In 2014, she began working for DR WW Dermatology PLLC. 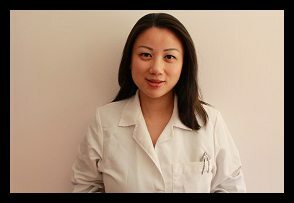 Mrs. Wang-Li is a member of the American Academy of Nurse Practitioners.